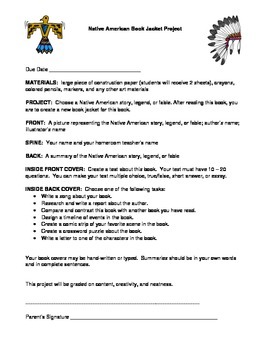 This is an activity/project to accompany a Native American unit. Students will create a book jacket. Each side, plus the spine of this book jacket project, has a specific assignment. This project could also be used in an ELA unit on folk tales or fables. Rubric is included.